Road users should try carpooling, avoid unnecessary journeys and practice "economical driving techniques" to reduce the impact of the fuel hike on their pockets, says Energy Minister Jeff Radebe. Radebe was responding to a question by EFF MP Elsabe Ntlangwini about the fuel hikes in recent months. Parliament had released the written reply on Tuesday afternoon. The inland price for a litre of 95 octane unleaded petrol rose to a record R16.02 on Wednesday. The coastal price is R15.43. Prices are expected to increase again in August. READ: Where to from here for record petrol prices? In his response, the energy minister explained that the rand/dollar exchange rate and the cost of imported oil were among the biggest contributing factors to the price of fuel. Economists have warned that consumers would be hit by higher transport costs, and possibly food prices, as the cost of production at farms would increase. Ester Ochse from FNB Wealth and Investments shared some more steps consumers could take to manage rising transport costs. Public transport users may not have flexibility in this regard, but those driving with cars can try to avoid peak traffic. "This will not only save fuel, but equally helps you save a rand or two." "Colleagues and friends who stay in the same residential areas must consider sharing travel costs through lift clubs," said Ochse. Some banks have partnerships with retailers or petrol stations so that consumers can get funds back by using a certain facility or swiping a card instead of paying with cash. Make use of discounts by buying tickets in bulk for public transport services such as trains or buses, explained Ochse. "This is a major cost-saving [tip] for public transport users, as it cushions you against any sudden increases in fares." Ochse added that consumers had to do more with less disposable income and needed to make adjustments to "keep their head(s) above water". Road users should try carpooling, avoid unnecessary journeys and practice “economical driving techniques” to reduce the impact of the fuel hike on their pockets. 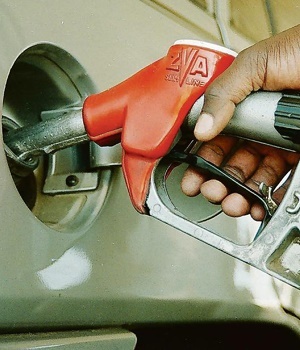 The fuel price hike - which came into effect early on Wednesday morning - will hit consumers hard, economists have warned. The price South Africa would pay to import fuel from overseas refineries up to the port is only R7.50. So why are we paying R16/l for the inland pump price for petrol?